This post was written as part of Oriental Trading’s Brand Ambassador program. 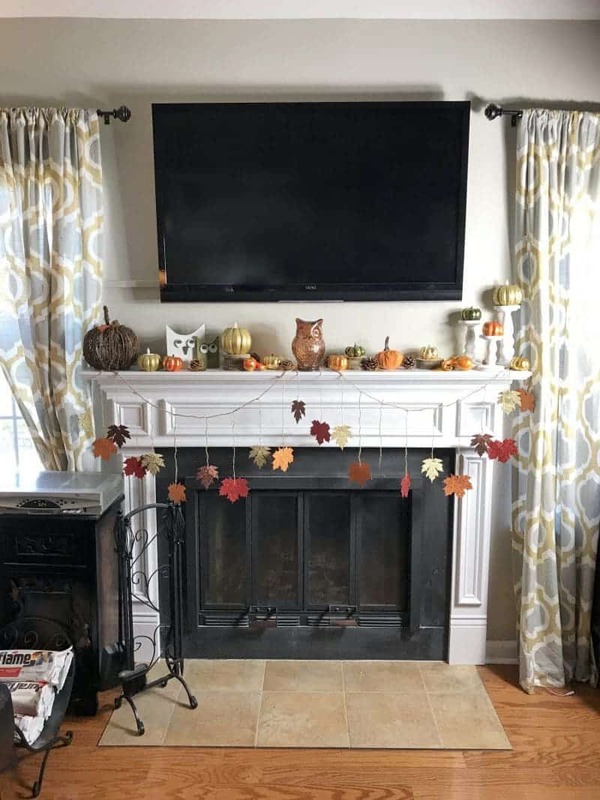 Some of the products included in the Fall mantle decor were provided by Oriental Trading for the purpose of this post. All opinions are mine alone. 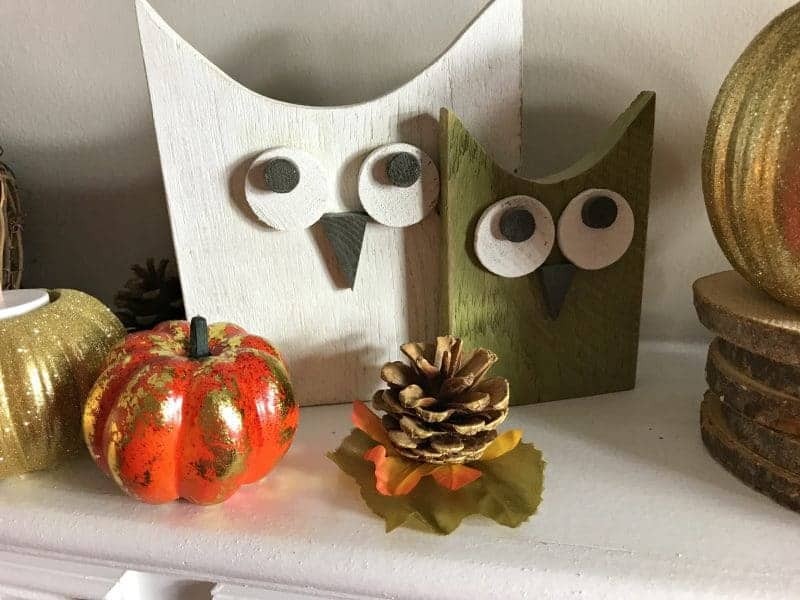 If you are searching for an easy Fall mantle decor idea, this pumpkin, gourd, owl, leaf, and pinecone covered mantle is a perfect for you. The items were inexpensive and it took under 5 minutes to put together. I just love how it came out so I wanted to share it with you all! Yes, I have a TV over my fireplace mantle. Is this ideal? No, not at all. Since we do not have a family room or TV room to place our television in, we ended up placing it in our living room. And, for the sake of saving space, we mounted it right above our fireplace mantle. Therefore, I have to decorate around it, which means finding pieces that aren't too tall. It is a bit of a struggle, but I find ways to make it work. 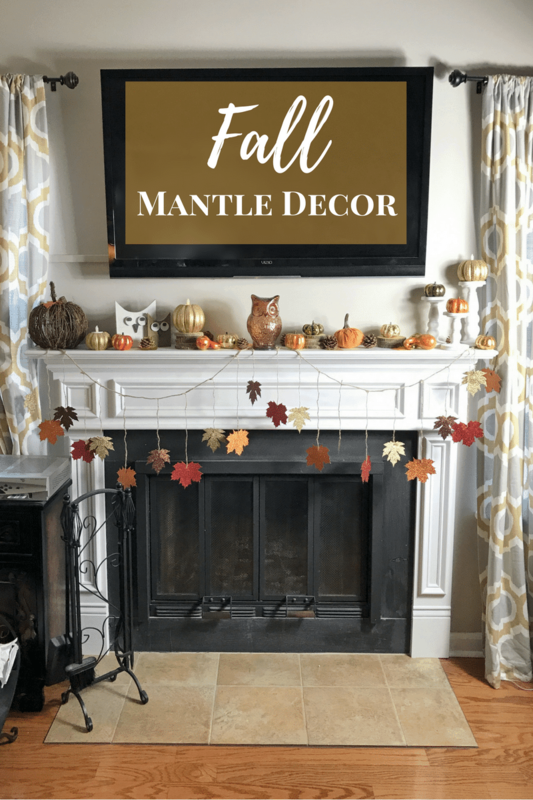 Most of the items that I used for my Fall mantle decor I ordered from Oriental Trading. I order from them often, as they have so much fun and affordable seasonal and holiday goodies. 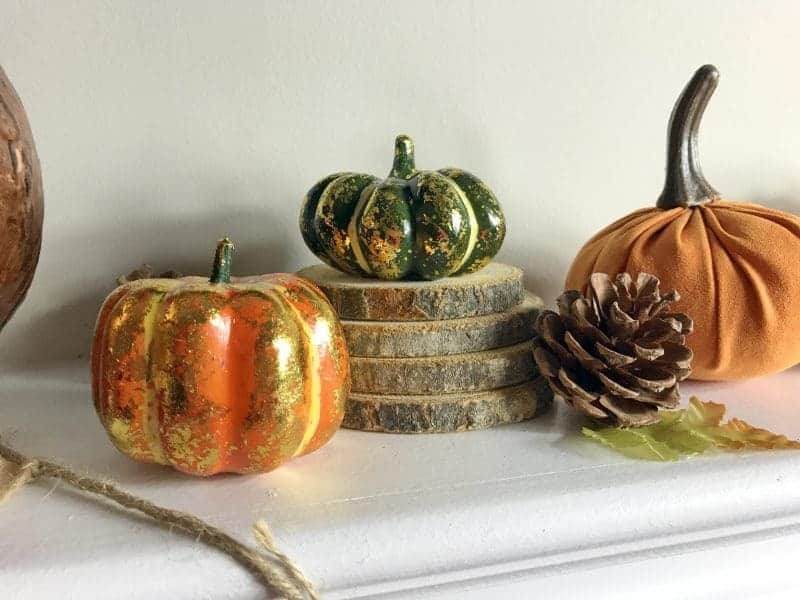 First, I gathered up all of the fall decor pieces that I wanted to incorporate. 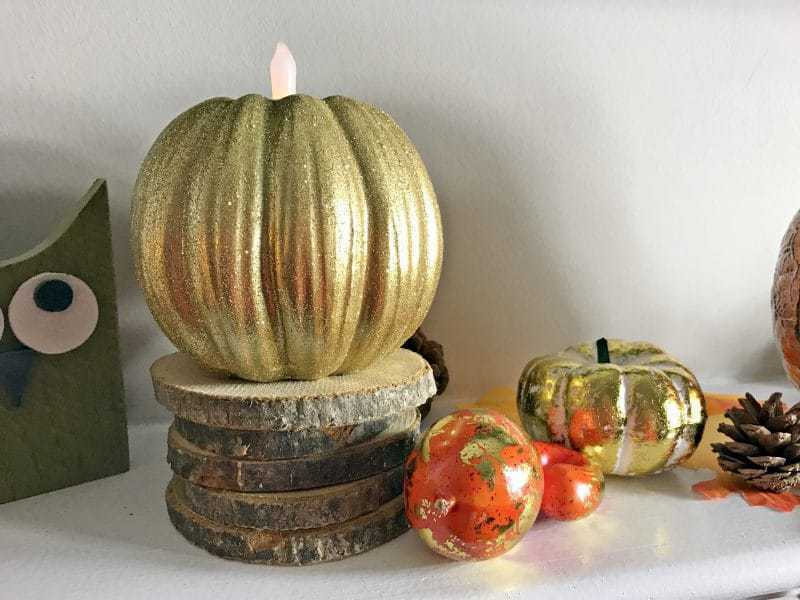 I used various pumpkins and gourds, gold glitter pumpkin votive holders, and owls. Then, I hung this beautiful glittery maple leaf garland. 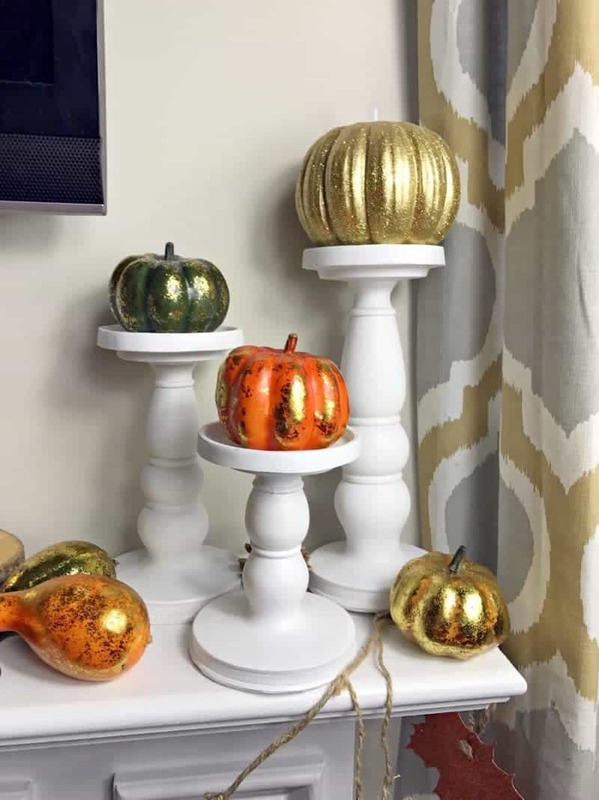 Then, I used wood slices and white candle holders to place my Fall decorations at varying heights. Finally, I placed fall leaves and pinecones throughout the mantle to help pull everything together. I am digging how simple this mantle decor was to put together, and how it will last me all season long. It is the perfect decor for both Halloween and Thanksgiving. In fact, I planning on leaving it up until it is time to put up my Christmas decorations. I love your display. 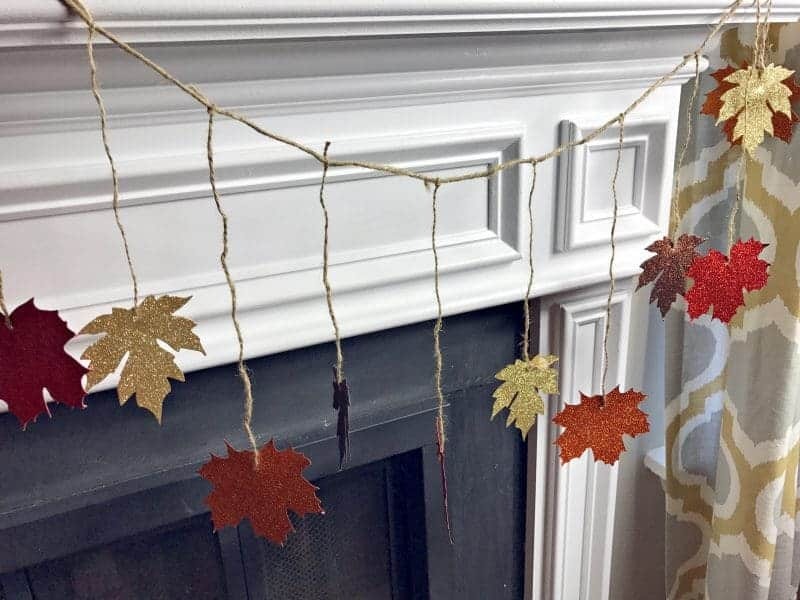 The hanging fall leaves are the perfect touch!